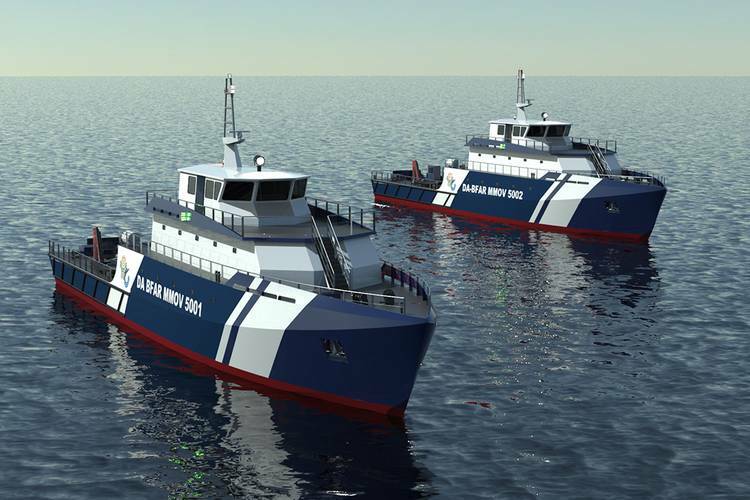 Incat Crowther has secured a contract to design a 50m multimission monohull patrol vessel for the Philippine Government. Two identical vessels of this type will be built in Manilla by Josefa Slipways. The primary role of the vessels is to combat illegal fishing for the Philippine government. With the local fishing industry losing billions of dollars to illegal fishing, these assets will enhance law enforcement’s capability to patrol and protect territorial waters. 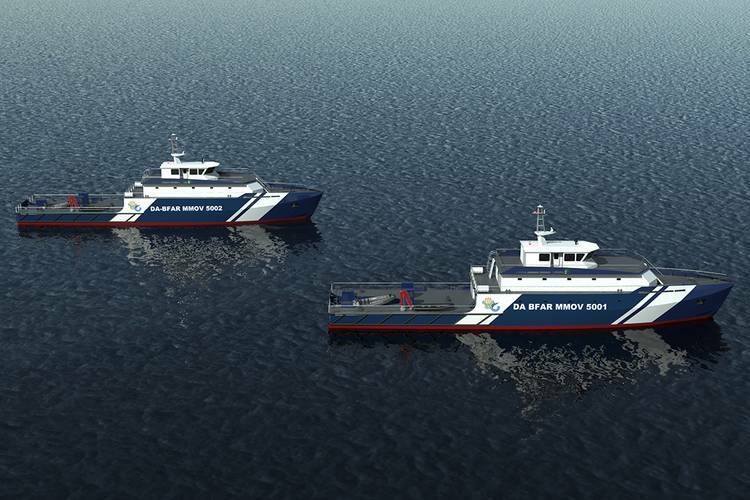 The multi-mission nature of the vessels also affords the flexibility to lead in disaster relief and/or rescue operations, as well as to serve as a platform for research. 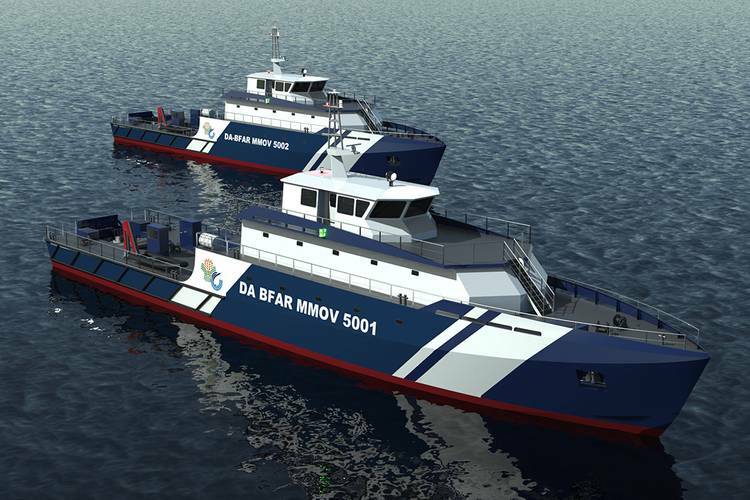 The Department of Agriculture (DA) with their operating agency, Bureau of Fisheries and Aquatic Resources (BFAR) will operate the vessels. Notable features of the steel vessel are a spacious aft working deck to accommodate both a rescue craft launched from a deck crane as well as 9m RHIB deployed from a specially designed well with a transom door. Ahead of the aft working deck, the main cabin houses a spacious galley with adjoining freezer and cold rooms, a medical clinic with adjacent lab, a large mess hall for the crew, and a private mess hall for officers. A large conference room accommodating 36 personnel is at the front of the main cabin. Below deck are the engine, control and equipment rooms as well as full accommodations for 42 personnel. Accommodations for officers and engineers are on the mid deck. Forward in the mid deck is a conference room with a capacity of 14 personnel. The large pilothouse gives an unobstructed view forward and plenty of desk area for electronics and charts. It also has sleeping quarters for two pilots. The vessels will be powered by two Mitsubishi S16R2-T2MPTK engines, coupled with a Masson MM W18000 gearboxes and fixed pitch propellers. Two Yanmar 6HAL2-WHT generators will service the vessel’s electrical needs with an additional emergency generator.